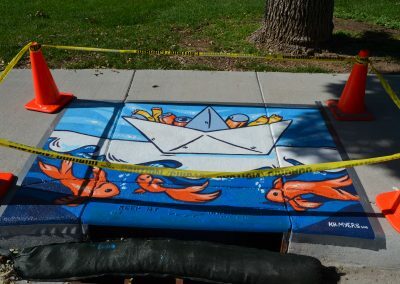 What helps make Greeley unique is the public art scattered throughout the city. 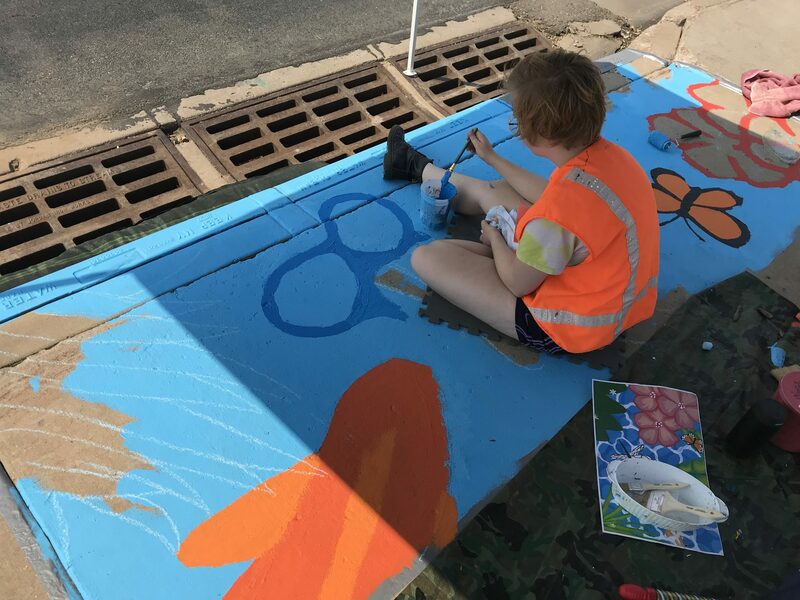 Greeley Unexpected has featured local artwork in the past, but it has come to our attention that Greeley’s public art program has made significant gains. 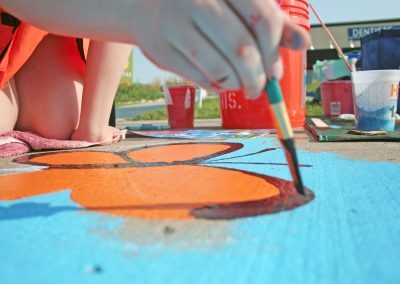 It was in the spring of 2016 that we published the last tally. 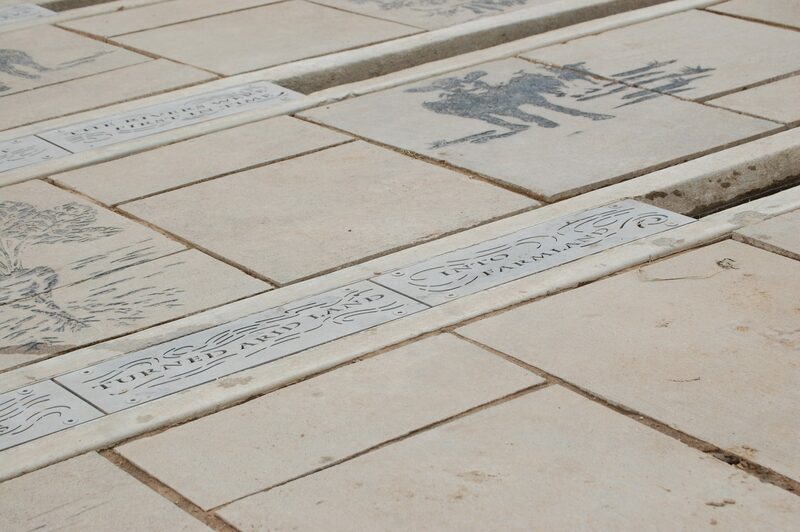 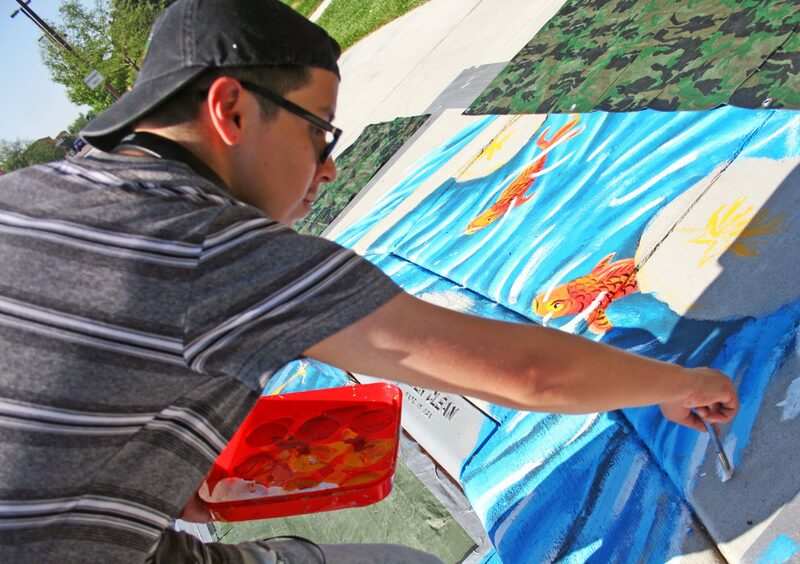 At that time, Greeley had 450 pieces of public art. 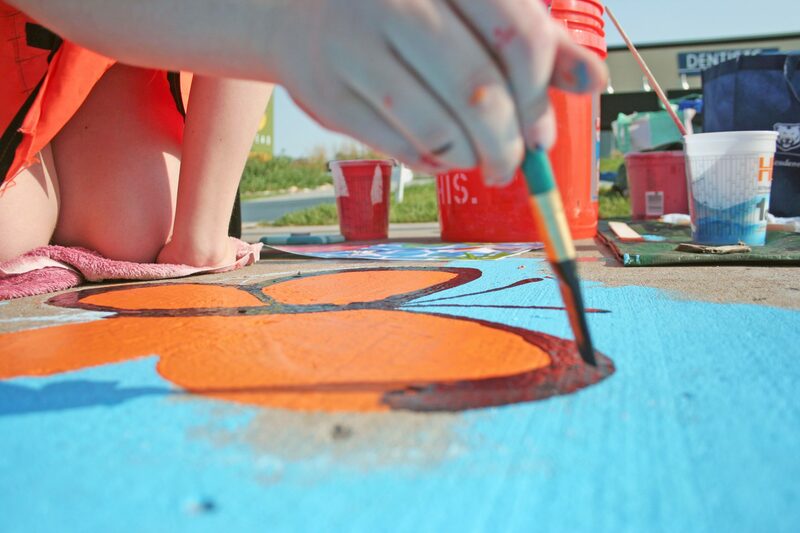 Incredibly, that number is now 560 due to the City’s 1% for Art Program and generous private donations. 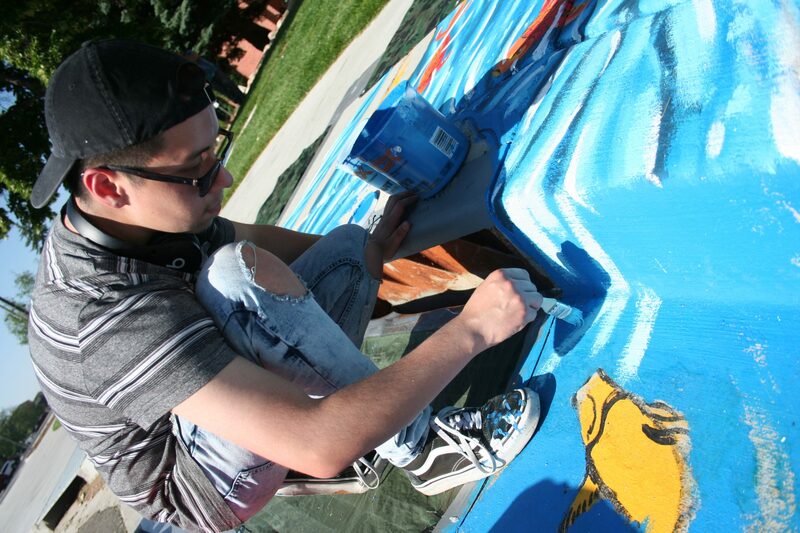 In June, Greeley Unexpected focused on several new murals in Greeley. 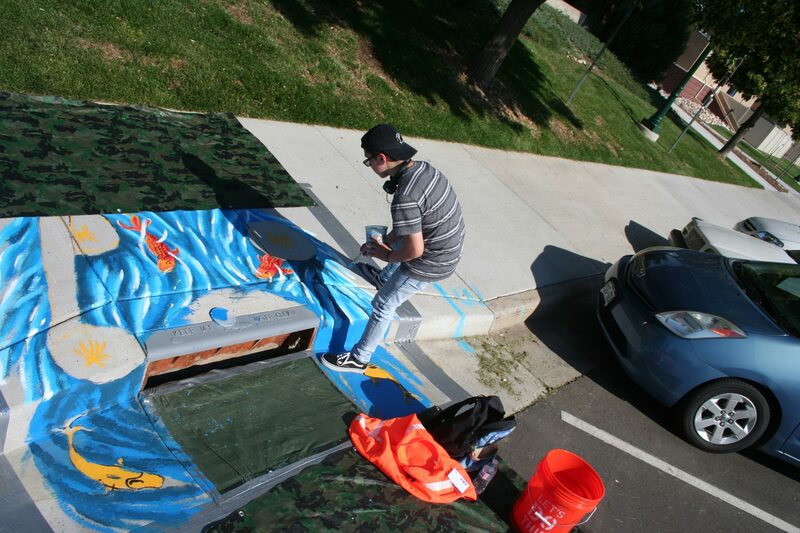 Here are a few more new masterpieces up in the community. 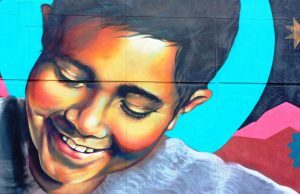 Local award-winning artist Armando Silva’s mural is on the east-facing wall of the Rodarte Community Center building – located at 920 A Street. This project, largely funded by a grant given by Aims Community College and by the City of Greeley’s 1% for Art Program will be donated to the City of Greeley Permanent Art Collection. The intended message of the artist in the mural will be “El Poder Es Saber (Knowledge is Power),” encouraging area youth to achieve academic success and college attainment. 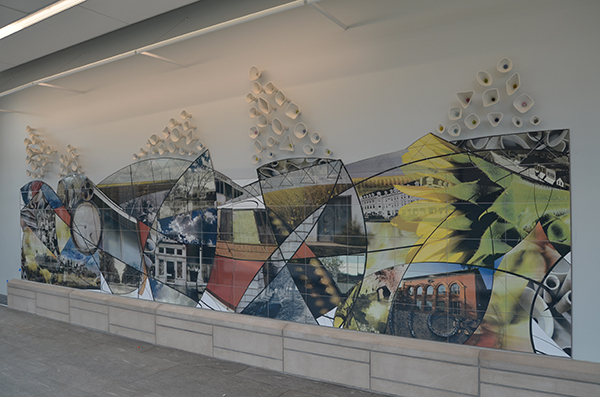 This piece is featured in the lobby of the new City Center Building at 1001 11th Avenue. 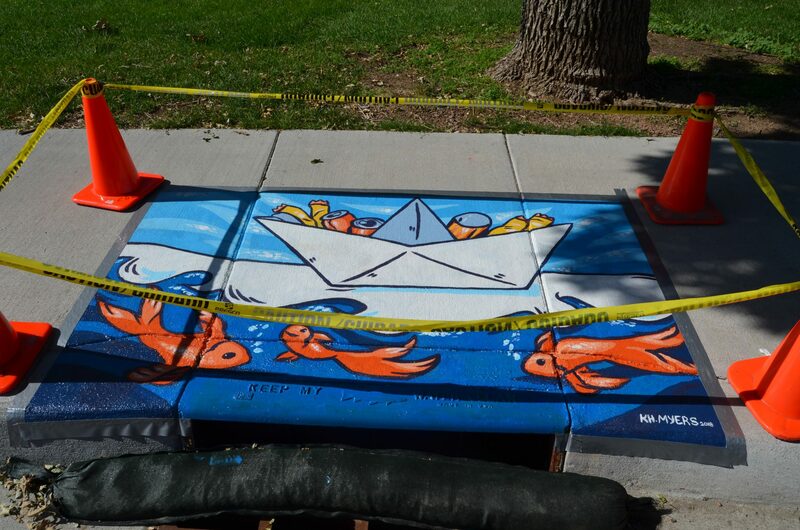 As the customer service center for Greeley city government, this indoor location for artwork will have significant visibility. The artists’ unique process of transferring photos with a frit glazing process showcases Greeley with past and present-day images. 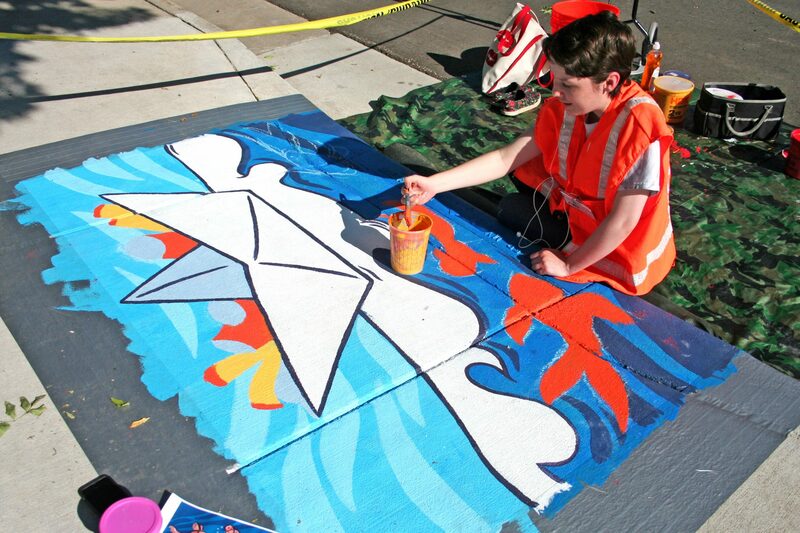 A portion of the artwork includes ceramic shapes created by a 3-D printer. 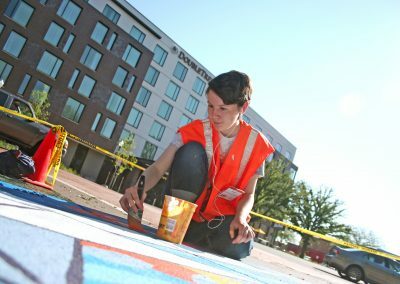 The art dedication for this piece takes place on September 4 with the Grand Opening of City Center. 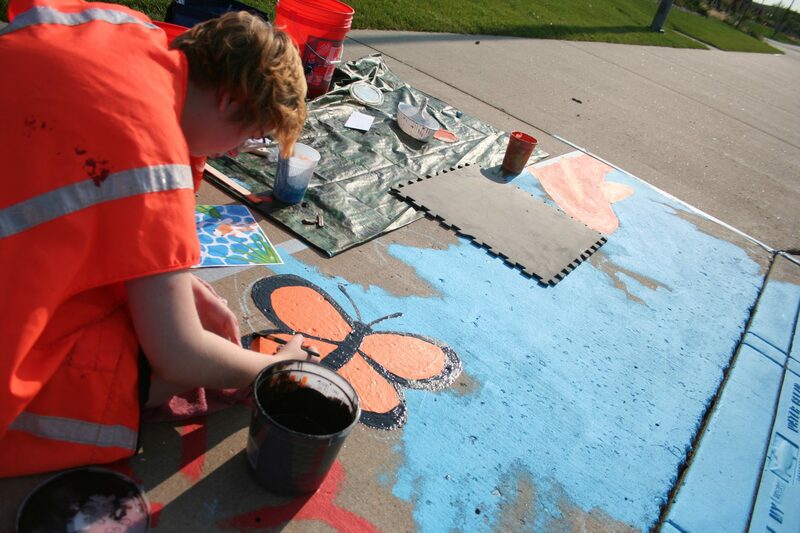 Woodbriar Park at 2819 W 19th Street, has a new look and feel. 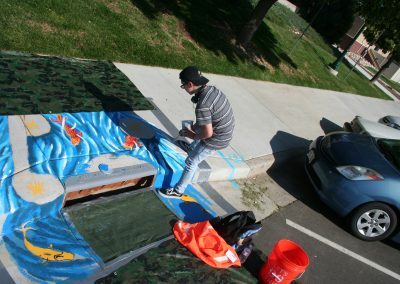 A great new art piece is one of it’s new and cool features. 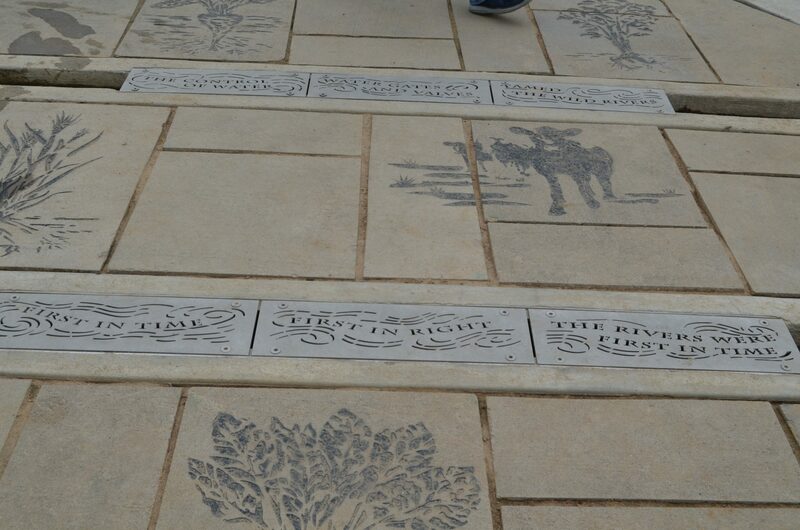 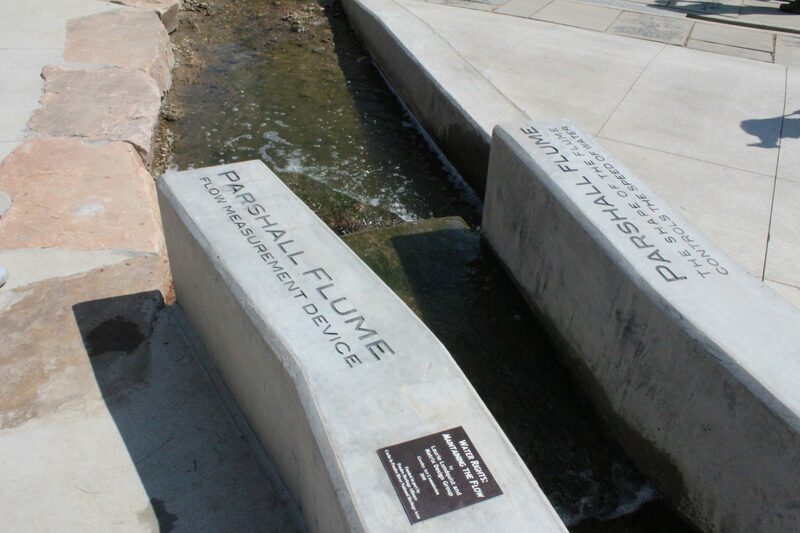 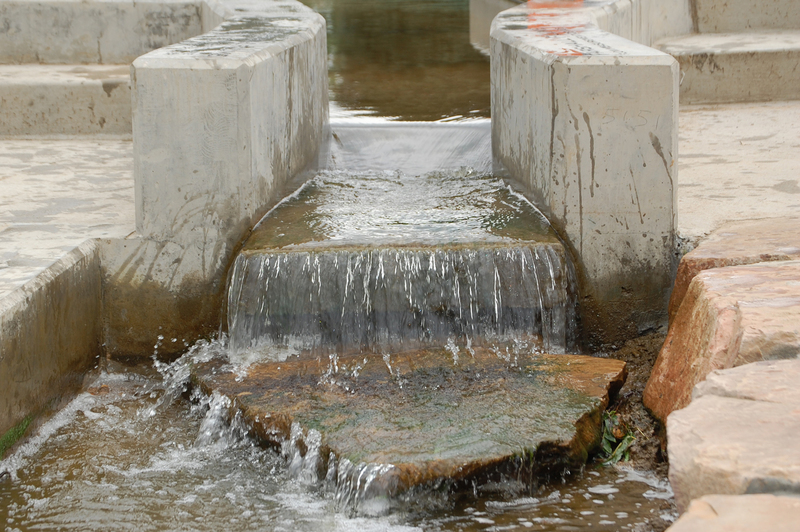 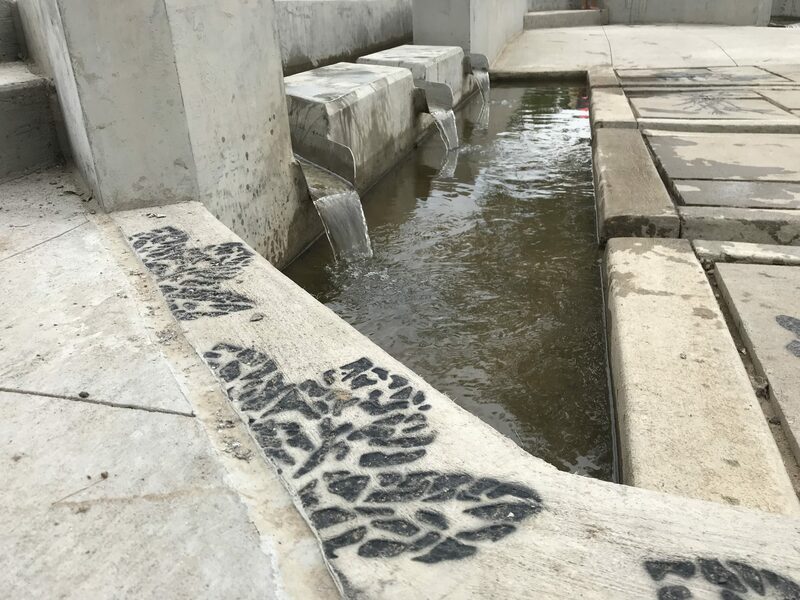 Water Rights: Maintaining the Flow is an art piece by Laurie Lundquist and the Matrix Design Group. 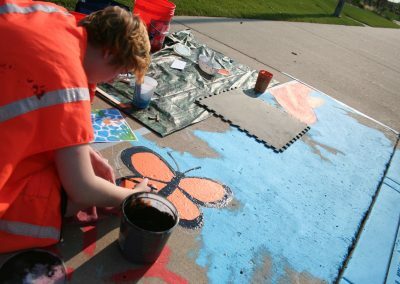 It was funded by the 1% for Art Program. 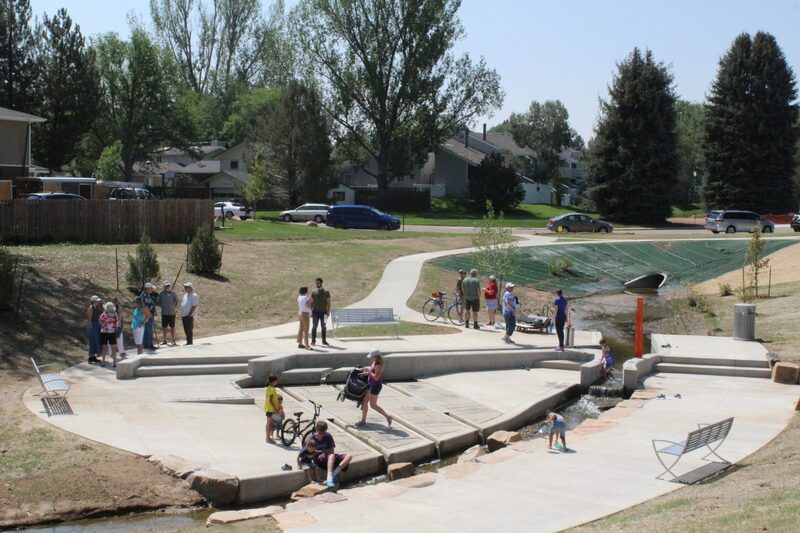 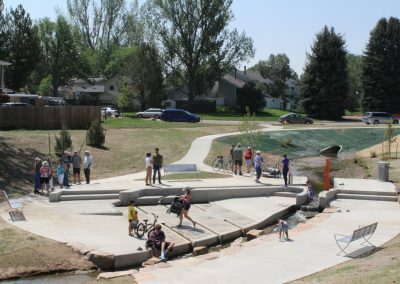 Additional funding is from the Poudre Heritage Alliance and the Greeley Water and Sewer Department. 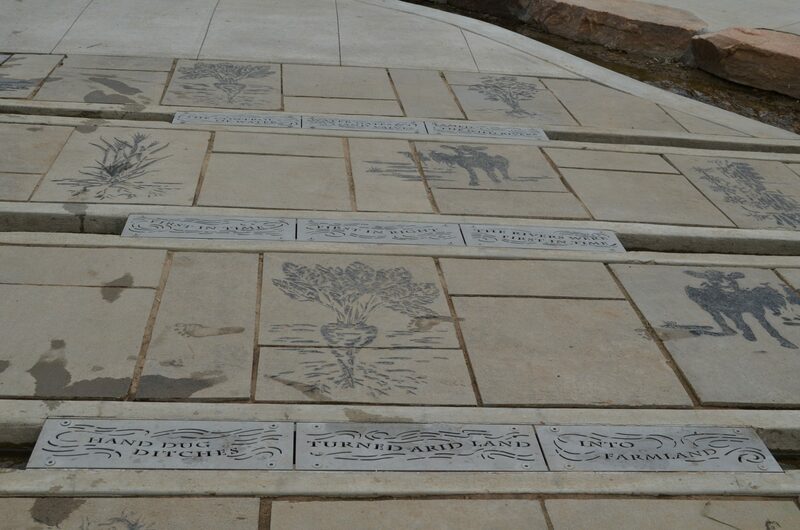 This earth art piece has included natural materials found on the site such as rock, soil, sand, and water. 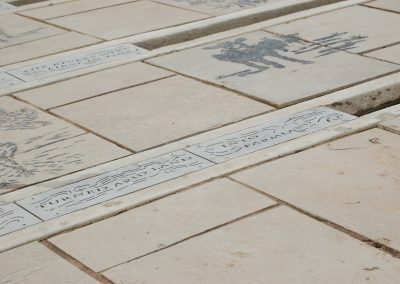 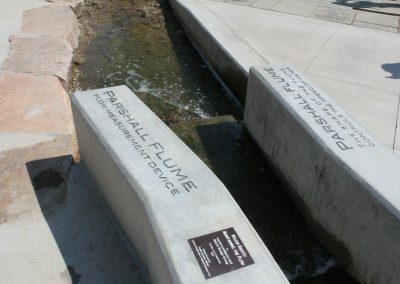 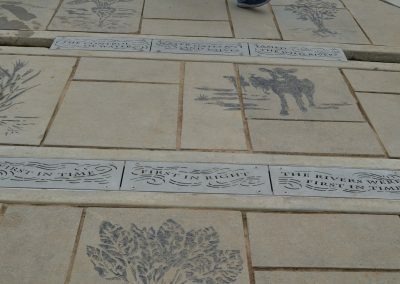 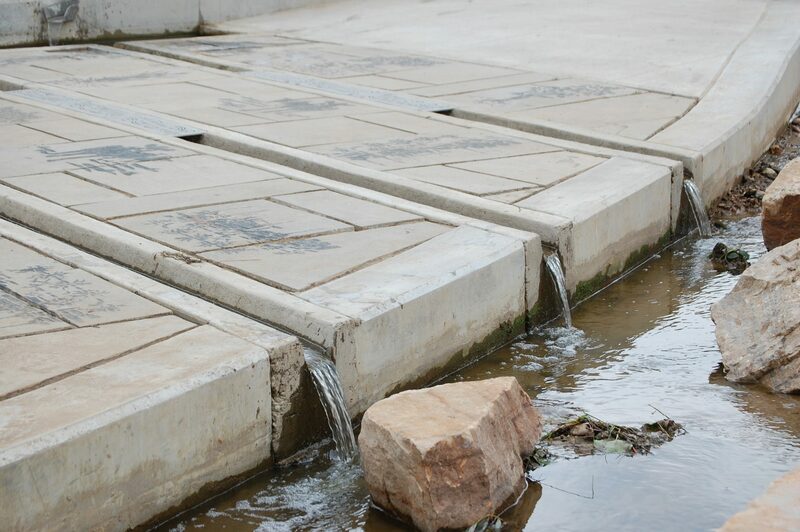 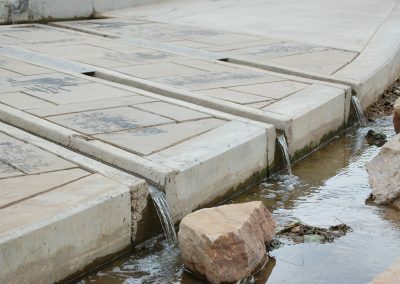 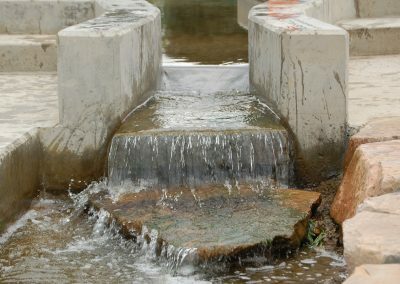 The goal of the art plaza and water features increases awareness of the natural environment while challenging traditional definitions of art. 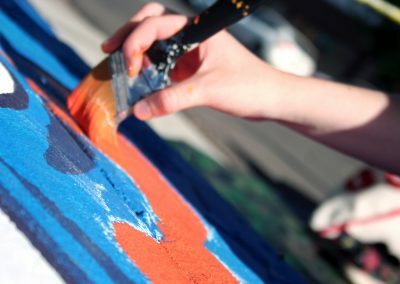 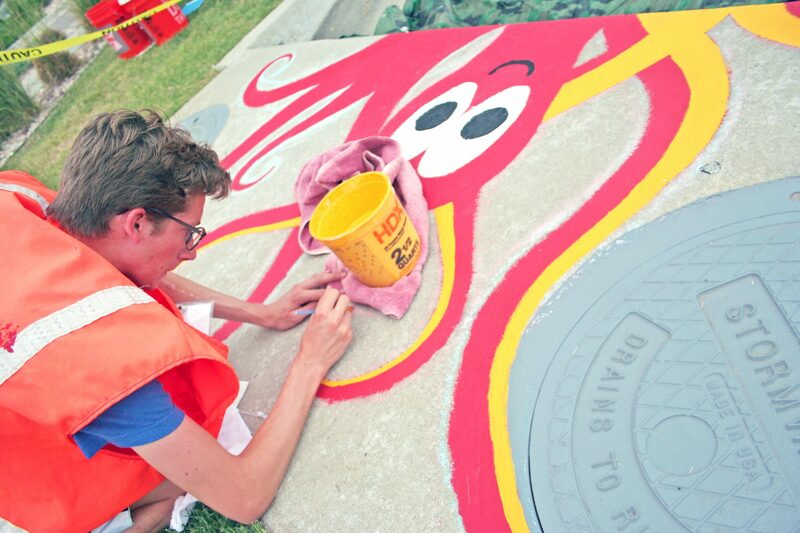 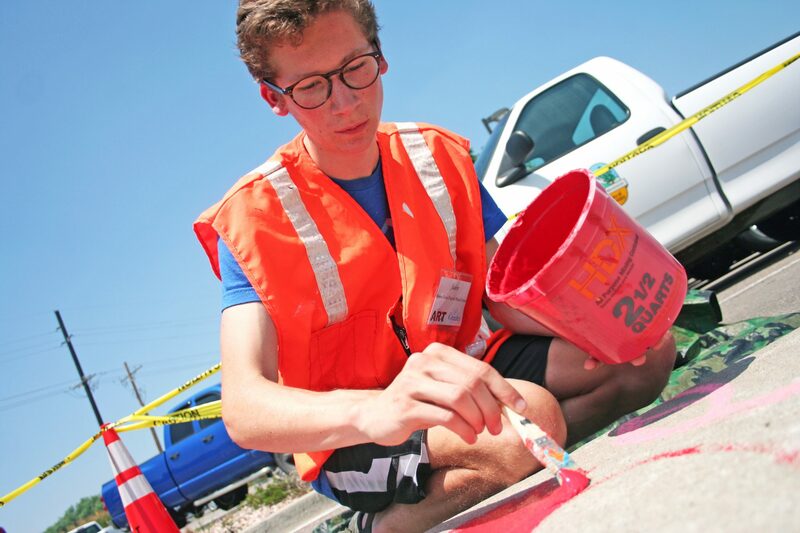 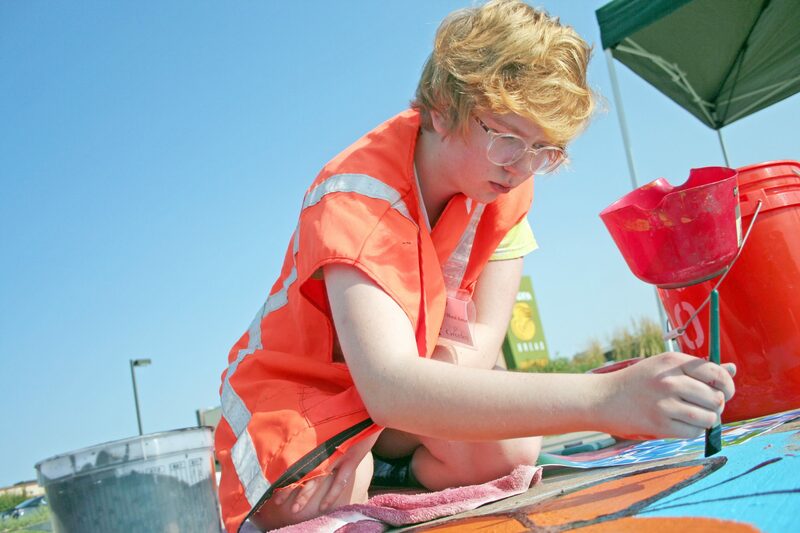 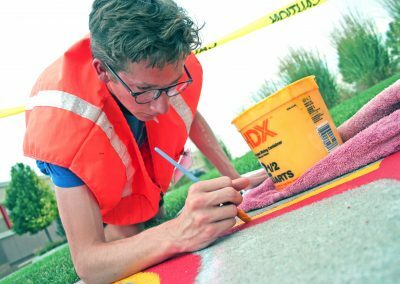 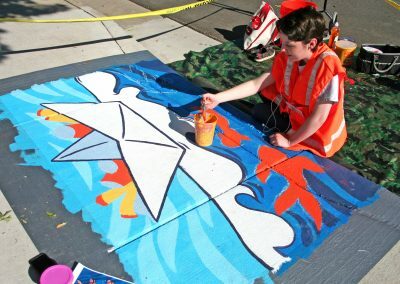 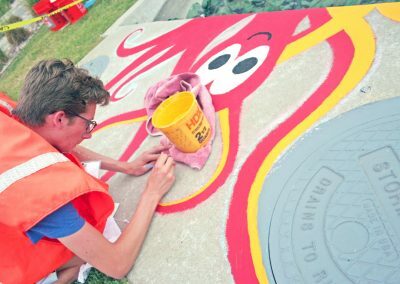 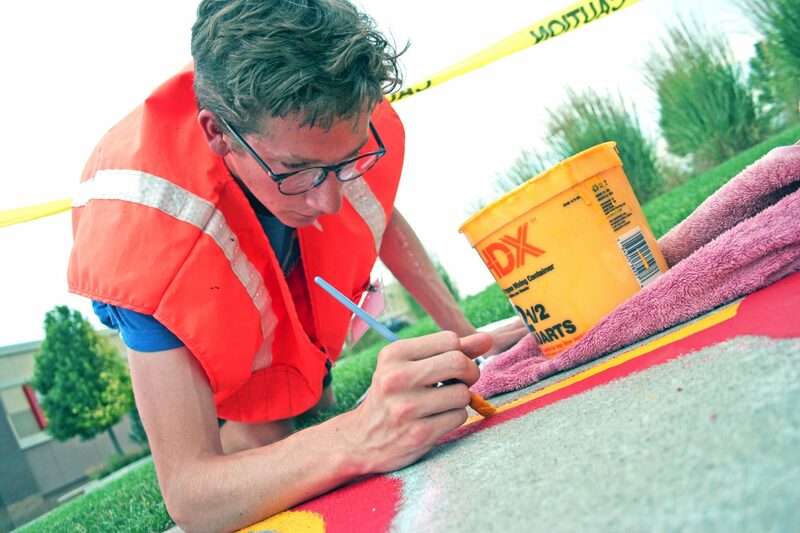 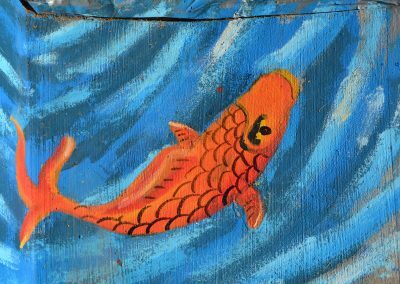 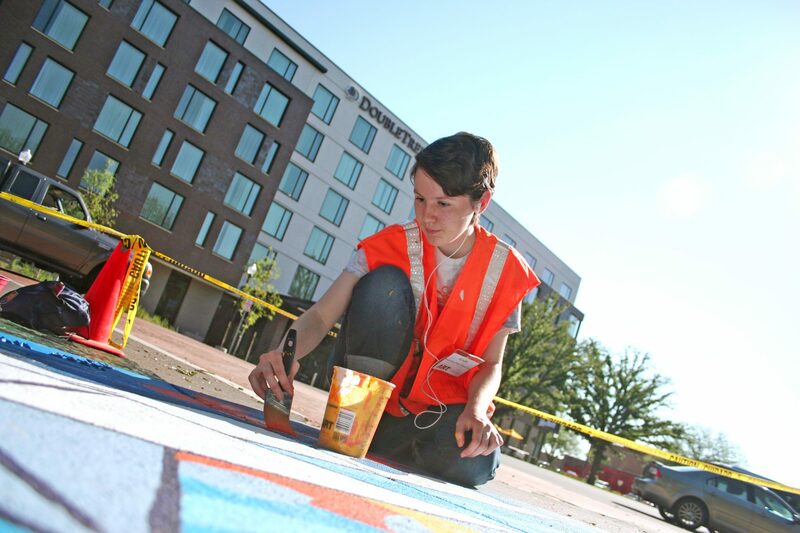 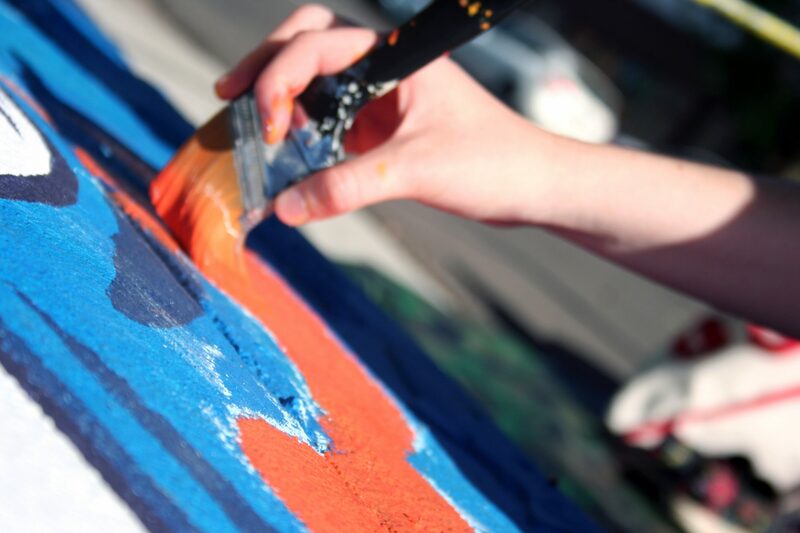 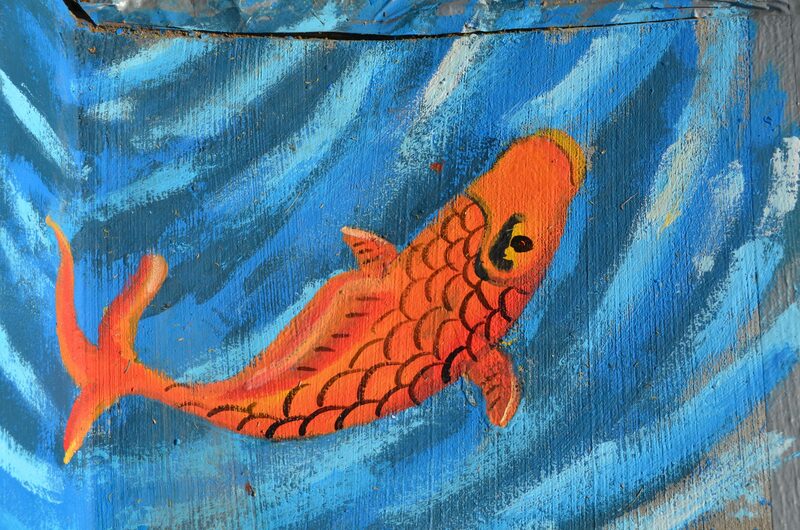 Local students designed sidewalk murals to raise awareness of the importance of clean water and the damaging impacts of dumping hazardous waste down storm drains. 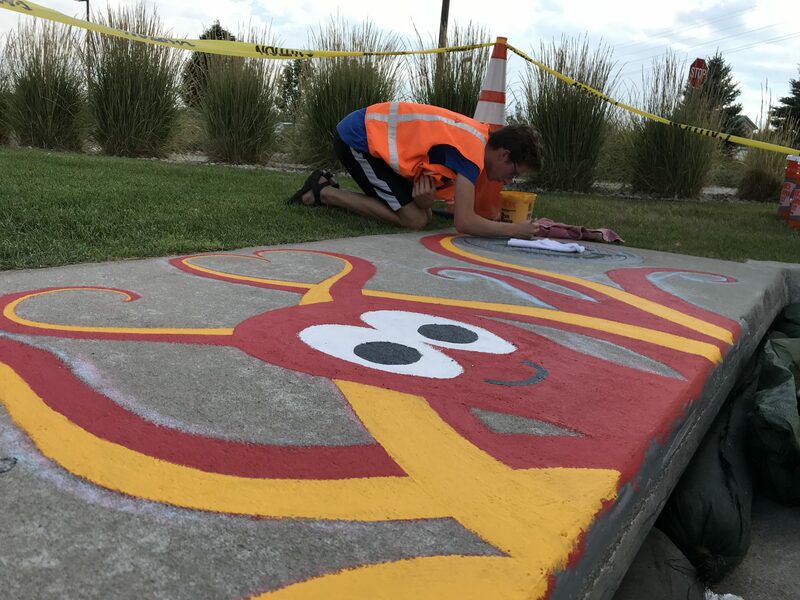 The 2018 murals are a pilot program with locations throughout the city.